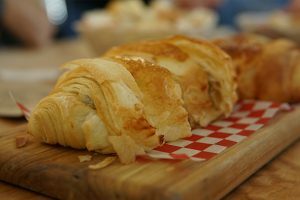 Guided Food Tour of Victoria B.C. 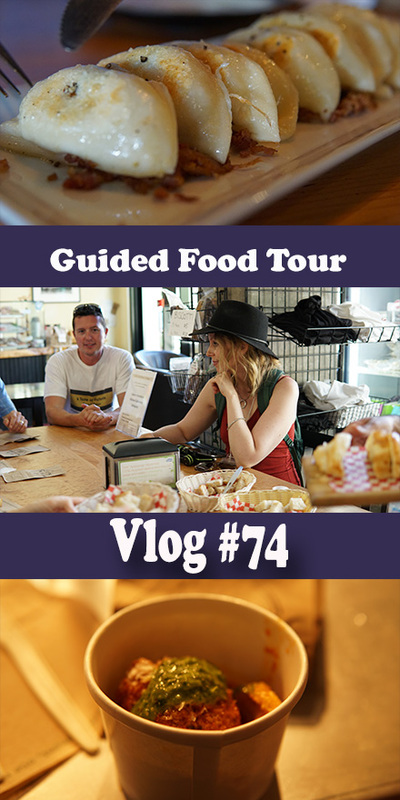 This week Andy from A Taste of Victoria Food Tours is taking us on a walking food tour of Victoria B.C. We met Andy through one of Tim´s modelling client´s Jessica. Her boyfriend and her run A Taste of Victoria Food Tours together and so we thought it would be a great idea for the vlog one week. We met at Victoria Marketplace which Tim and I were at recently for a photography gig of his called, Well Fed Beauty 2017. One of the first places that we visited was called Olive the Senses. This is one of my favourite places in Victoria B.C. for balsamic vinegars. These are for much more than making salads. They have loads of great recipes on their website. We made our way into China Town and Andy taught us so much about the history of China Town and all the alleys. There is even a time capsule that I didn´t know about. In Fan Tam Alley we stopped at an ice cream shop I had never tried called, Kid Sister Ice cream. This was honestly some of the best salted caramel ice cream I have ever had. It is dangerous this place is so close to our home. Another big hit on our tour was Sult Pierogi Bar who makes homemade pierogies. They were simply delicious and we are looking forward to go back to try some of their unique pierogi creations. As a local, I found new places to eat that I have never tried before and, I saw my town with fresh eyes and I learned things about my town that I didn’t even know. I think I would definitely check out food tours in other towns to find out all the best places that the locals eat and to get the lay of the land so to speak. If you liked this vlog, please give it a thumbs up, subscribe and turn on notifications and let me know the best place to eat in your town. Tagged as: A Taste of Victoria B.C., Chinatown Victoria B.C., Dr Melissa West, Fan Tam Alley, food and history walking tour of Victoria B.C., food walking tour of Victoria B.C., guided food tour of Victoria B.C., history of Victoria B.C. walking tour, inner harbour Victoria B.C., Kid Sister Ice Cream Victoria B.C., Melissa West, Old Town Victoria B.C., Olive the Senses Victoria B.C., Sult Pierogi Bar Victoria B.C., Victoria BC, walking tour of Victoria B.C.